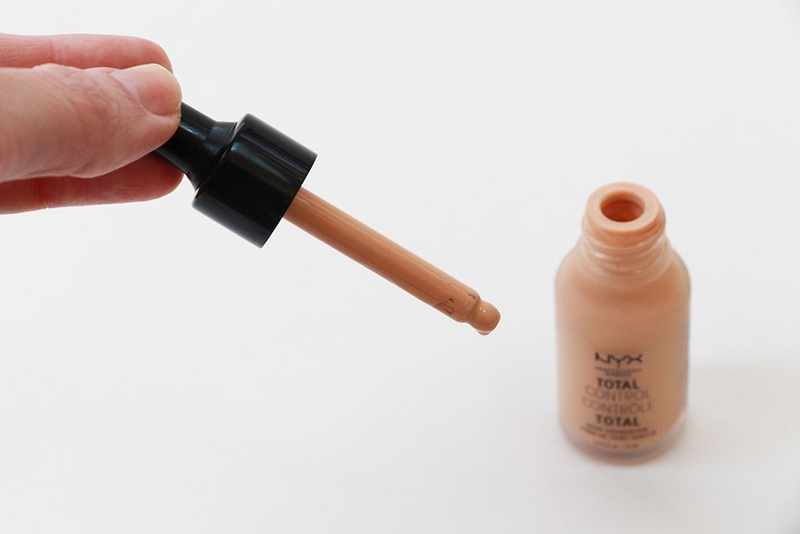 As you may have guessed by the dropper bottle, this is an extremely thin, watery foundation. It will run all over the place if you’re not careful. However, that’s actually part of its genius as well! Because it is so thin and liquidy, it looks and feels like nothing at all on the skin! However, I do find it somewhat difficult to apply. What I find works best for me is to put however many drops I want to use in the palm of my hand, rub my hands together just a bit and then smear them over my face, similar to if I were applying a face cream. From there I can either blend it further with my hands/fingers, or I can grab a brush or damp Beauty Blender/sponge to even out the product. Typically I just stick with my hands…like most foundations if you’ve seen many of my foundation reviews. 😂 It’s just easy and it does the job. I also feel like you get the best coverage when using your fingers to apply. 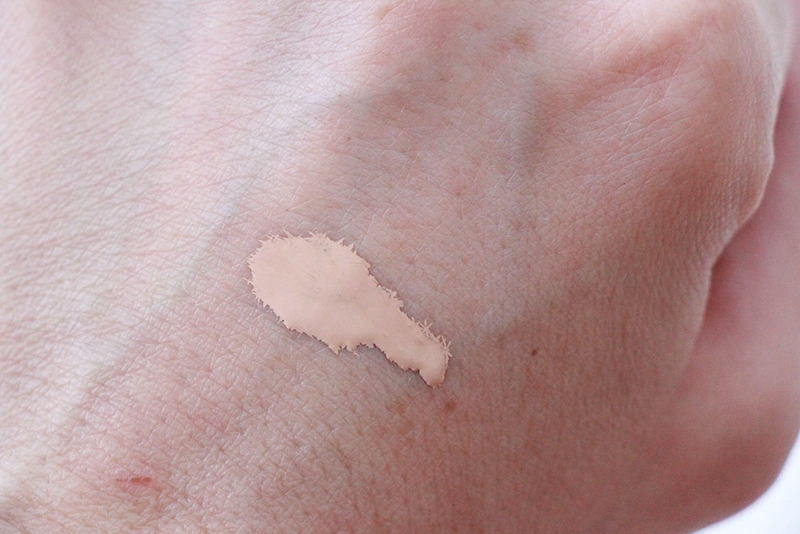 It blends really easily too because it is so watery so I never have trouble getting even coverage with my fingers. 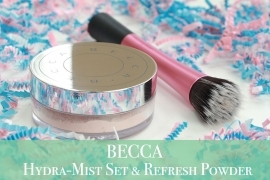 After managing to get the product on my face and blended, I find it has pretty good coverage! 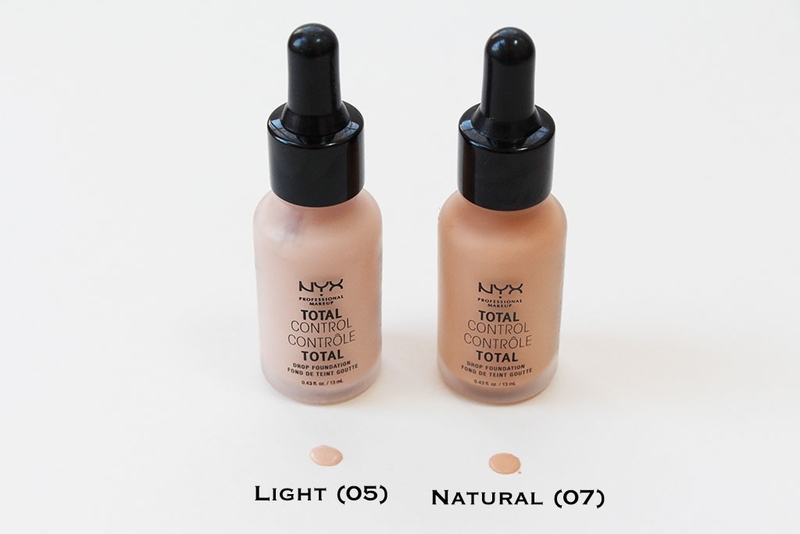 NYX seems to think you can use 2+ drops for sheer coverage, 3+ drops for medium and 4+ drops for full coverage. I feel like you definitely need more than that to even just cover your entire face. I usually start with maybe 8 drops (that’s single drops, not actual droppers full) and that seems to give me a good medium coverage to start out with. I could probably start with less, but that’s just my default amount. 😳 I can build up more or use concealer wherever I need extra coverage. And you can indeed build this foundation up a bit. I will say that if you apply too much it will still look just fine, but it is more prone to transferring. I feel like slowly building layers helps this problem a lot. So starting with less is always better…at least my version of less 😄 After the drops are blended into my skin, I will usually take maybe 4 more drops to add to the trouble areas on my cheeks and I’m ready to move on! 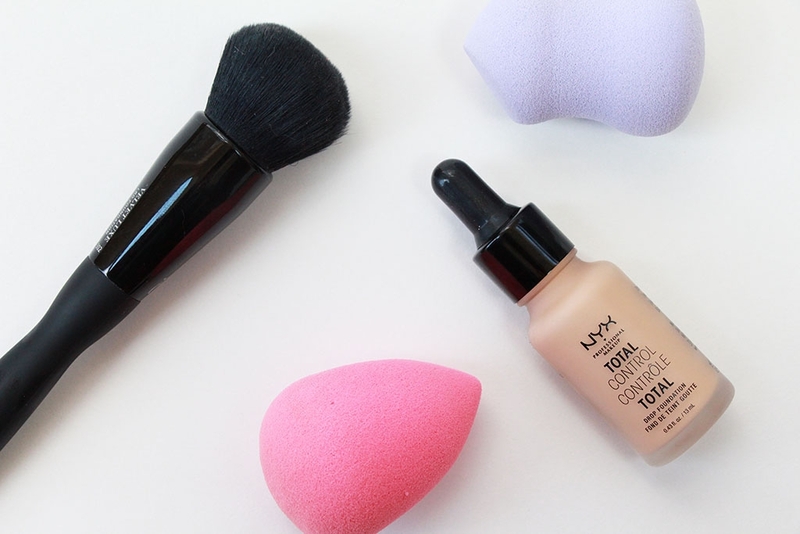 It’s actually a pretty quick and easy foundation to apply because it blends so well thanks to the watery consistency. As far as wear goes, I mentioned that it can transfer if you apply too much. It can also transfer if you don’t get it “worked into” the skin sufficiently. Thanks to the liquidy texture, I don’t find that it’s difficult to minimize this problem and setting it with powder will help a bit as well. All that aside, I don’t find that this seems to wear down much, if at all, throughout the day. It’s still going strong by the end of the day! I have no idea how that’s possible, but on my skin it sticks around beautifully. Even better for me, it actually somehow keeps me from getting shiny! 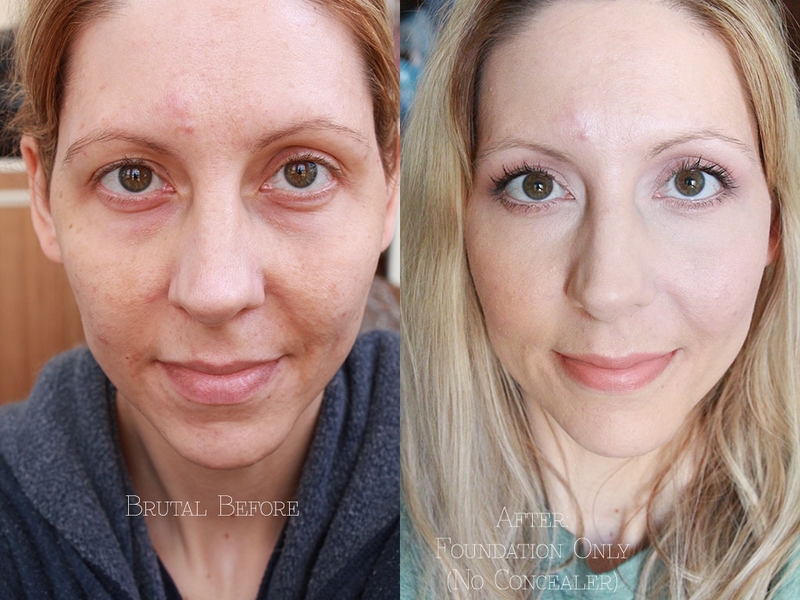 Most of the time I will start getting quite oily with any foundation after a few hours of wear. Without blotting, I look terribly greasy by the end of the day. This stuff I can leave completely untouched with absolutely no trouble. I’m not sure that it’s controlling oil so much as it’s just not reacting with my skin and creating the oil. It has a high water content so perhaps that helps, but I’ve since tried the Tarte Rainforest of the Sea Water Foundation and I still get shiny with that one. Back to the NYX though, I do get a bit more glowy after a few hours, but in a natural looking way not a greasy overly shiny way. Honestly this is probably the best wearing foundation on my skin that I have found! Let’s talk about the packaging for a second. I actually really dislike makeup products in dropper bottles. They tend to get pretty messy pretty quickly. That said, I feel like this particular product is less likely than most to turn into a foundation covered nightmare. For one, the product is so thin that it doesn’t really collect around the opening of the dropper top. It also seems like there’s some kind of wiping mechanism that keeps the dropper itself as free of excess product as possible. So though I really don’t love the way this product is packaged, it seems better than most in terms of creating a mess. I also must admit that I’m not sure how else you could package a product that is so thin and watery. 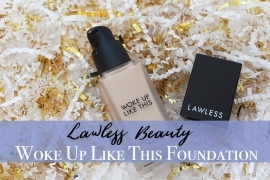 So I can give the packaging a free pass…not to mention that I enjoy the foundation so much that even if it were a nightmare to keep clean, I would still reach for it. Last thing to mention is the price and the size. You are getting 13mL/0.43 fl oz. That’s not quite half the size of most foundations. It is still at “drugstore” pricing so it’s not as though you’re dropping 40+ bucks for the tiny little bottle that may not last terribly long, but it’s still worth noting. I have no idea how long one bottle will last with regular use, but I feel like it might be longer than a more typical thicker foundation. It just seems like the consistency being so thin might actually take up less space for an equal application from a thicker product. I’m no expert though. 😄 This tiny little bottle will set you back about $14, which isn’t bad, but I just thought I needed to point out the size difference for comparisons sake. 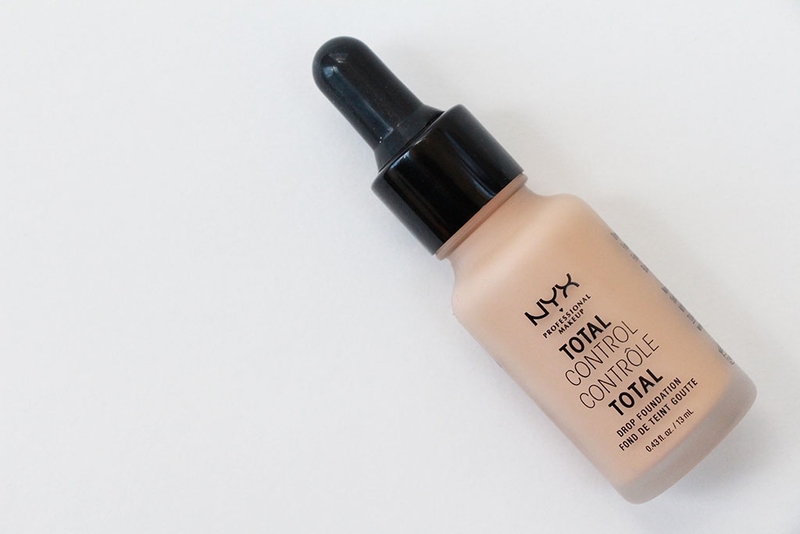 In case you haven’t guessed, I love the NYX Total Control Drop Foundation! It is hands down the best foundation I have found for my skin type and texture. 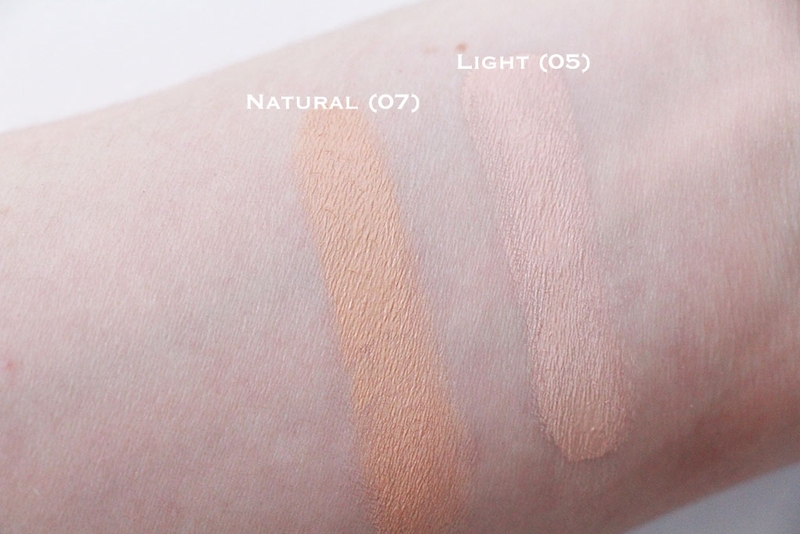 Not to mention the shade range makes it almost difficult to choose only one shade that will work for your skin tone – you may find a couple! I do wish it had a bit more of a natural finish as opposed to its matte finish, but it doesn’t look mask-like, heavy or cakey. The fact that it miraculously controls my oil is one of its most impressive features to me and I adore that because I really don’t want to take the time to blot throughout the day. I don’t love that it’s full of silicones, but they don’t seem to anger my skin so I can deal with it. 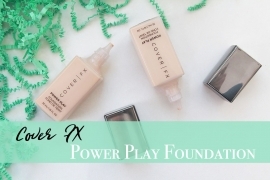 I was quite pleasantly surprised by this foundation and highly recommend it to anyone with a lot of texture, someone who struggles with oil, if you want a lot of control over the coverage with just one foundation, or if you’re someone who doesn’t like feeling foundation on the skin. It really does tick every box for me! 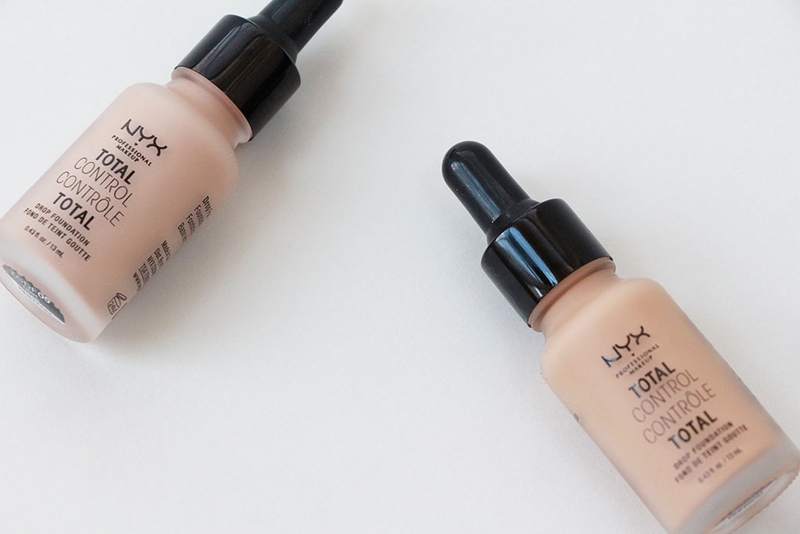 Let us know if you’ve tried this foundation and how it worked for you. I’d be curious to see other’s thoughts, especially those who have different skin types and issues than I do. 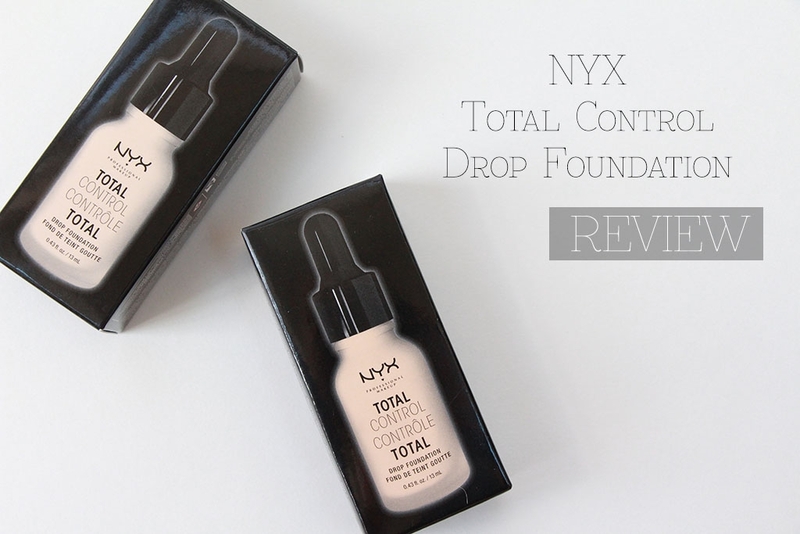 I hope you’ve found this review helpful when considering the NYX Control Drop Foundation and, as always, thank you so much for stopping by!! !